(Alexandria, Va., May 18, 2016) – Suicide has surged to the highest levels in nearly 30 years, according to a recent report by the National Center for Health StatisticsWhile only about two percent of the estimated 43,000 suicides each year result from jumping or falling, parking garages are among the places where these suicides occur (in addition to bridges and railways). Within these industries, professionals have grappled with the devastating aftermath for victims’ families as well the often long-term trauma for personnel. 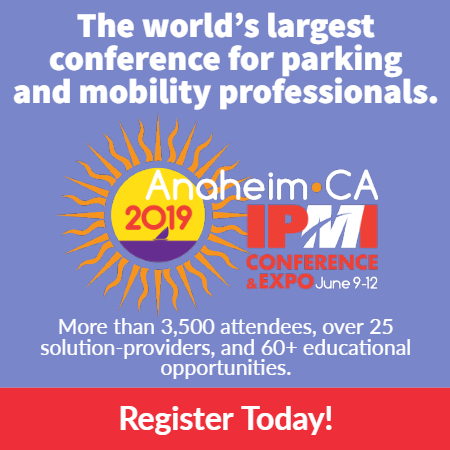 In collaboration with leading suicide experts, the International Parking Institute (IPI), the world’s largest association of the parking industry, has produced Suicide in Parking Facilities: Prevention, Response, and Recovery, a 10-page publication that offers information, resources, and expert advice. “This is a difficult topic but one we feel is important to address,” says Shawn Conrad, CAE, chief executive officer of IPI, who noted that more suicides occur at garages serving Veterans Administration (V.A.) and other hospitals that treat psychiatric illnesses, and at universities, where suicide is the second-leading cause of death. Suicides also occur in multi-level municipal parking garages, he says. A 2016 survey of members of IPI found that a significant number of respondents reported suicides or attempted suicides (38 and 20 percent, respectively) in facilities they managed. The publication covers a wide range of topics, from installing physical barriers and signage that offers crisis line information to on-the-scene intervention and post-traumatic care for employees and witnesses. It also addresses how to effectively manage media attention that can unintentionally glamorize suicide with tragic consequences. 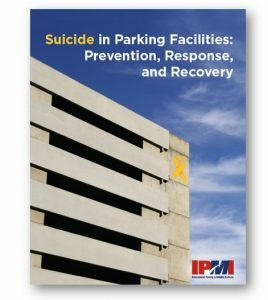 Suicide in Parking Facilities: Prevention, Response, and Recovery is available as a free download at parking.org/sprr. IPI is offering a webinar on the topic in August, as well as onsite preparedness training. Contact Tina Altman at taltman@parking.org or 571.699.3009 for more information. www.reportingonsuicide.org for guidance in covering this topic.